While the Backstreet Boys are on a small break from Vegas and other surprise appearances, for some it may be hard to keep the Backstreet Pride alive, but not for Anne Tipaldos. 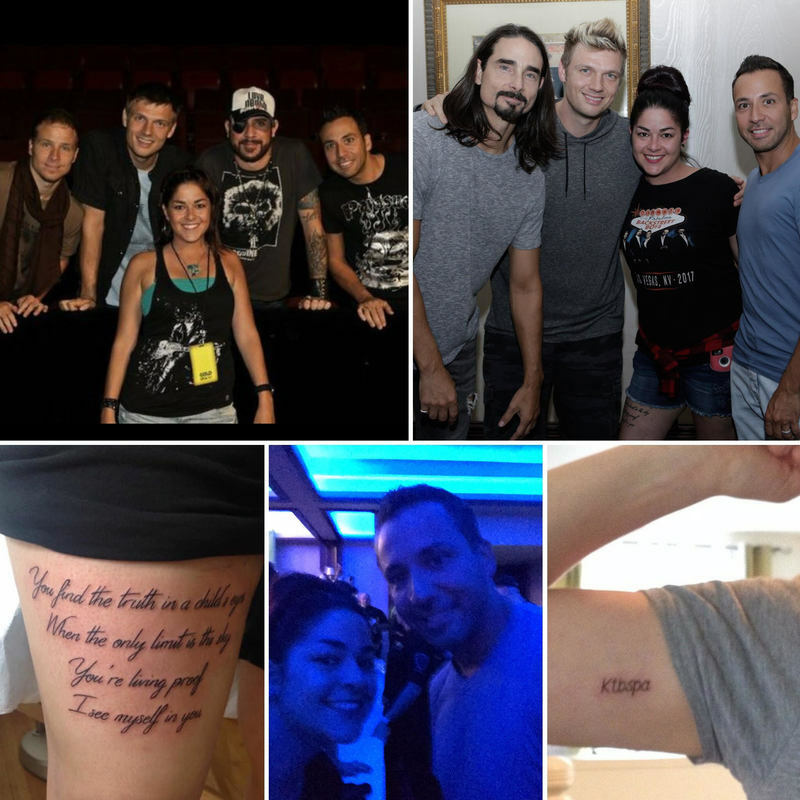 “I have KTBSPA tattooed on my arm, so I’m constantly keeping the pride alive,” Anne, who has been a Backstreet Boys fan since 1995, said. 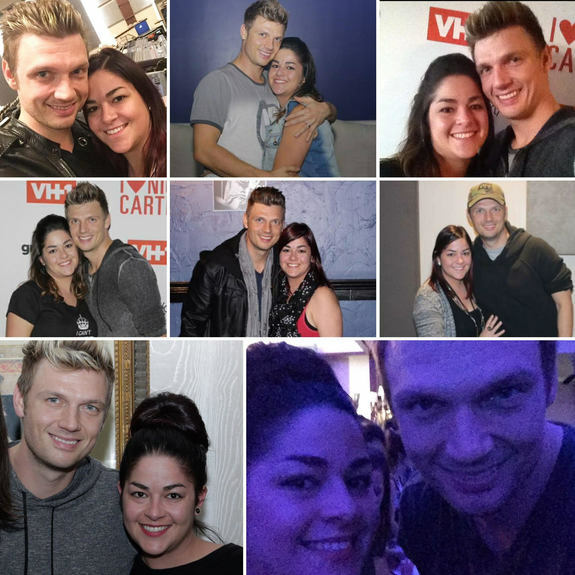 On top of always listening to the boys and working on her photo album of photos from Las Vegas and the boys’ July appearance in Quebec, the Montreal native is also keeping the pride alive in another special way – her son, Nickolas. “My six-year-old helps me out seeing as he sings Backstreet Boys’ songs all the time,” she said. And what does Nickolas’ father think about his name? However, she’s not sure that anybody believes her significant other. Meet Anne, the September 2017 Soldier of the Month. First of all, I am a mother. I have been a waitress for the past 15 years while still being a student, finishing my bachelor’s degree in Communications studies part-time. I also love to write for fun just to get my opinions and feelings out there. I'm a soon-to-be 34 year old. 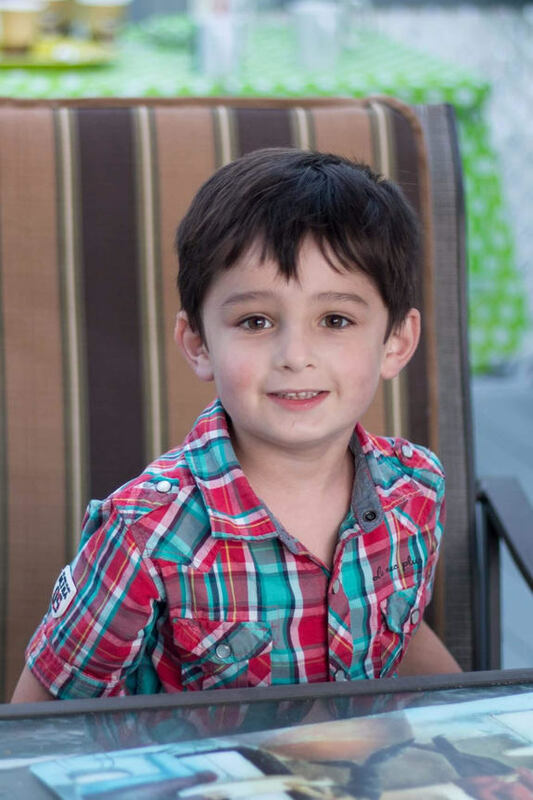 I have a 6 year old son named Nickolas who is my world. I have been with my man for 10 years now, not married yet but hoping that might come soon, we are going to Vegas together in February so a girl can dream right. As a true Canadian, I'm a major hockey fan! Go Montreal Canadiens! I also love all kinds of music from rock to rap to punk to country. And like AJ, I'm a major “Friends” fan. I can re-watch the entire show over and over and never get tired of it. “One Tree Hill” and “The Walking Dead” are my other favorite shows. Obviously my first meet & greet with the guys in 2010 will always be engraved in my mind and heart, but my favorite BSB memory is from not too long ago: July 9th 2017 when the boys played to almost 100 000 people here in Quebec City. It was insane. Being front row of that amazing crowd; having the boys bring part of the Vegas show to my part of the world; everything about that night was absolutely perfect. Even they couldn’t get over the energy and the size of that crowd! And to end the night I had a blast at the after party with hugs from Nick, Kevin, and Howie, a selfie with Howie and another one with Nick and even a glass of champagne offered to me by Howie D himself! How awesome is that? I couldn’t believe it!! It was one of my best Backstreet Boys experiencing! Hum, I think my favorite video is “Show'em What You're Made Of” because of how simple it is. Our boys, black background, and the song. No crazy effects and or props, just them and their raw talent, the amazing lyrics and melody and their undeniable good looks! I am totally a Nick girl. The man is perfection. Besides being the most beautiful man I have ever seen, with the most amazing voice, he is also so kind and sweet to us fans. We are lucky to have him, constantly working hard with BSB stuff, solo stuff, tv shows, movies. The man does it all and still takes time to tweet his fans and to thank us and take photos with us. He always goes that extra mile to make us fans happy. And finally, how he turned his life around is so inspiring. We see so many artists lose it and fall off track, especially those who start off so young, so I am very proud of how he took matters into his own hands and decided to change his life for the better. I simply adore him. That being said I adore each and every one of them for different reasons. Kevin for his kindness and his capability to make us feel like we are the only ones in the room when meeting him; Howie for his sweetness and his little wink; AJ for also turning his life around, I think I love him more and more everyday seeing him as a father; and finally Brian for simply being Brian, for his perseverance and dedication, for making us laugh every single time and for making sure every fan knows that he has seen them in the crowd. The Backstreet Boys have been a part of my life for more than half of it. Their music has always been my safest place to hide when things have gotten tough. Just listening to their songs, watching videos from past shows or interviews they made could instantly put a smile on my face. My favorite thing about being a BSB fan is all the fact that we are the luckiest fans in the world to have a band that is still going strong, and who keeps getting better and better after almost 25 years. The memories, the music, the tours, the photos, the videos, the friendships made, the trips across the country and even to other countries: these boys have given me so much that so many just can't understand. I have met some amazing people and traveled to amazing places because of these five men. Each and every one of the boys goes the extra mile to make us fans feel happy and special, whether it’s with hugs, small glances in the crowd, a selfie or a tweet. They also include us fans in everything. There aren’t many groups/bands out there who do as much as they do for us and I can’t thank them enough for it! We have grown up together, we have fallen and gotten back up and here we are still standing strong after soon to be 25 years! And every year things just keep getting better and better for us in the fandom and I for one can’t wait for 2018 and beyond! You’ve seen the Vegas show. When did you go and are you planning on going again? Considering you're in Montreal, one of the first places in North America that BSB became popular, what was your reaction back then when the rest of Canada, the US and Mexico became BSB fanatics? Or as AJ says in the movie, it rained down on the US. I have to admit I was a little scared at first. Selfishly thinking I was afraid they would forget about us or that they would become so big that we'd have trouble seeing them often. But at the same time, I was so happy for them and so proud to see them accomplish big things and to see their dreams come true. But I was afraid to lose them. I was younger and I remember trying to figure out how I could convince my mom to let me travel in case they didn't come back to Montreal to see them. But time passed, they sold more & more albums, got bigger & bigger and they never stopped coming to see us here. And every time they kept telling us how thankful they were and how we were the first ones in North America to embrace them. I was relieved and proud that they never forgot about us. When they talk about how we helped "rain Backstreet Boys" onto the US I feel immensely proud and honored to have been part of it all from the beginning. And I am very happy that the rest of the world got to discover them and know them for the amazing group that they are. And that 25 years later we are all still Keeping The Backstreet Pride Alive!